Now is the perfect time to acquire art worthy of the ages. At Collector Circle, we believe that great, affordable art could and should be part of everyone’s life. We seek to cultivate and educate the new collector, while championing young, contemporary artists. As the art world burgeons and more people have a desire to collect, we understand that the need for high quality advice grows. Collector Circle is a quality driven organization. We believe our passion, expertise and industry knowledge provide us with a differentiating factor. 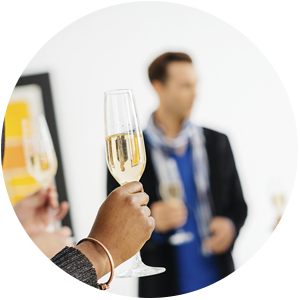 We can provide exclusive access to gallery openings, exhibitions, artist talks, and art fairs. It is our goal to connect our clients with the latest up and coming artists. As our client, you receive private access to artworks from galleries along with expert advice and guidance on appreciation and investment potential. Take a look at some of the unique offerings that are currently available. When one of our clients purchases a new work of art, we oversee and manage all logistics including shipping, framing and installation, as well as design input and advice. 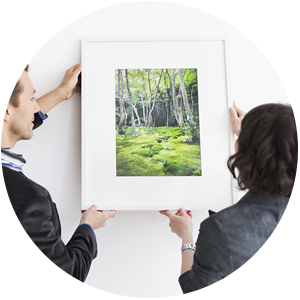 Collector Circle provides art consulting services for individuals and companies. Taking a personalized approach with each client, we strive to educate new buyers and connect them with new and emerging artists. Our objective is to work with a relatively small number of forward-looking collectors. We collaborate closely our clients, researching and identifying works that provide both personal enjoyment and strong investment potential. When it comes to investments, “Art” doesn’t often occur to most people as a viable strategy for building wealth. 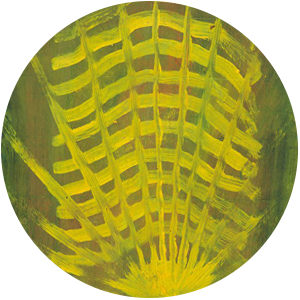 At Collector Circle we believe in art as a worthwhile global investment. We invite you to take advantage of our expert advice and knowledge to build an art collection that is more than just a unique form of investment. Collecting art can add beauty and depth to your life, while serving as a sound investment and an effective form of portfolio diversification.